The Speaker of the House had no idea that the tide of betrayal was building behind her back. And now the last group of people she ever suspected could end her career. The stalemate over funding the border wall is in its fifth week. Democrats who won control of the House of Representatives in districts carried by Donald Trump are beginning to panic. Their voters are not the hard-left socialists in big cities like New York and San Francisco that elected Alexandria Ocasio-Cortez and Nancy Pelosi. This has led to an unexpected development where Pelosi is facing betrayal from every angle. A group of centrist Democrats wrote a letter urging Pelosi to negotiate with Trump and drop her resistance to any wall funding. “Once the government is reopened, the Democratic Majority will immediately begin debate in committee on the supplemental discretionary funding request by the Department of Homeland Security (DHS) for border security. This will allow DHS leadership to explain in detail how the funds will be used and whether this expenditure will have the reported results presented by the President,” the letter stated. These centrist Democrats campaigned on more conservative platforms and promised to work with President Trump where they could. However, Democrats in this group also proved they could not be trusted when they campaigned on opposing Pelosi for Speaker of the House, but then folded like a tent and supported her in the actual vote. But what was surprising was the sentiments expressed by Pelosi’s leadership team. Multiple high-ranking Democrats have expressed support for some form of physical barrier along the Southern border in recent days. Democrat Steny Hoyer of Maryland, who is the House Majority Leader, declared in an interview on Fox News that a wall had to be included in the solution to border security. “Look, I think physical barriers are a part of the solution,” Hoyer told Fox News host Neil Cavuto. The Majority Leader also distanced himself from Pelosi’s politically toxic support for open borders. Hoyer was not the only defector on the wall. Minnesota Democrat Congressman Collin Peterson told reporters that Pelosi should agree to fund Trump’s wall. Finally, Homeland Security Committee Chairman and Mississippi Democrat Bennie Thompson told ABC’s Martha Raddatz that Democrats were open to wall funding. Trump is calling for 200 miles of strategically placed wall construction. That is in line with what Hoyer, Peterson and Thompson have all stated they could support. And Trump will need House Democrats to vote for funding to complete this project. 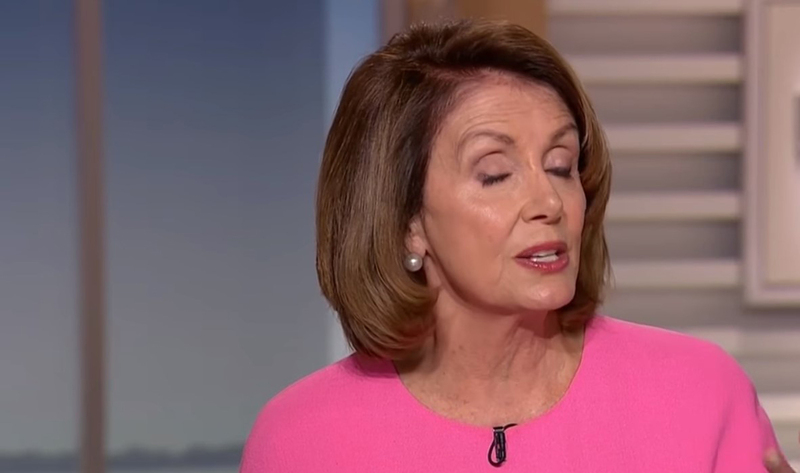 The comments made by prominent Democrats show the sand is shifting beneath Pelosi’s feet and she could be headed for the most humiliating defeat of her life. If Pelosi loses this fight, liberals – as well as the centrist Democrats in Trump districts who don’t want to be dragged to the left on immigration – will be furious and demand she be replaced in the next Congress.